Many patients with high blood pressure develop coronary artery disease or heart failure, and many die as a result. However, as hypertension is a circulatory disease all parts of the body depend on this circulation and many organs suffer from the impact this disease. One of the organs at greatest risk is the brain. There are already clear ways to explore the damage high blood pressure can cause to the kidneys, eyes, and heart. However, there is no way to assess brain damage that could predict the development of dementia associated with vascular diseases. 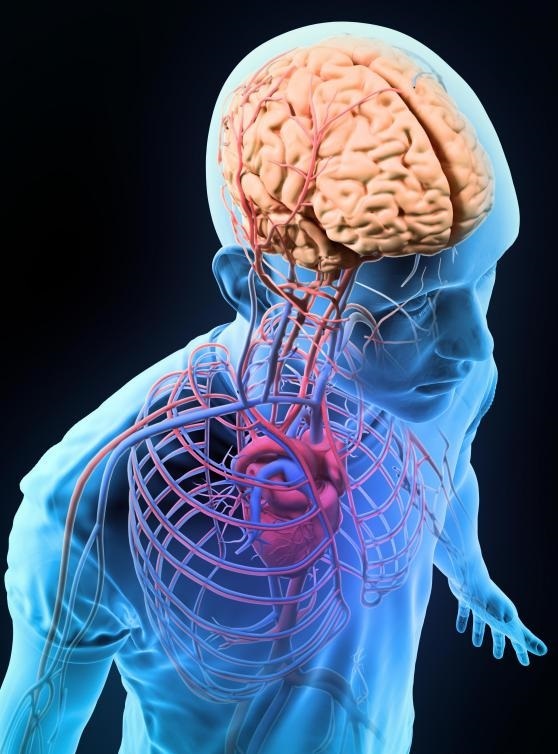 Now, a study from researchers at the Sapienza University of Rome has used a new imaging technique to identify people with high blood pressure that also have damage to nerve tracts connecting different parts of the brain. The team state that the area of brain damage detected is linked to difficulties in certain cognitive skills, decision-making, and the ability to regulate emotions. The study was presented at the AHA’s 2015 High Blood Pressure Conference. Previous studies show that approximately 74 million Americans have hypertension and about 54 million have prehypertension. Hypertension is responsible for one of every six deaths in American adults. As it involves the heart and blood vessels, hypertension is classified as a cardiovascular disease, however, researchers argue that since arteries are vital to the health of all the body’s organs, hypertension is actually a multi-organ disease. In many earlier studies hypertension’s damaging impact does not only fall on the heart, it also falls on the eyes, the kidneys, and the brain. And while there has been a lot of research on hypertension-related brain changes in the grey matter, little has been done to investigate damage done to white matter. Therefore, the lab wanted to investigate the brain’s white matter to see if they could tell if high blood pressure was having an effect even earlier than what is known. The current study used diffusion tensor imaging (DTI), an enhancement of magnetic resonance imaging (MRI), to evaluate and compare the structural and functional properties of the main connections between different brain regions. Fifteen participants were on medication for moderate to severe high blood pressure and 15 participants had normal blood pressure. Participants were also given a cognitive assessment. Results show that while none of the participants showed abnormalities on a standard MRI, the more advanced DTI revealed that participants with high blood pressure had damage to brain fibers that affect non-verbal functions; nerve fibers that affect executive functioning and emotional regulation; and limbic system fibers, which are involved in attention tasks. In addition, imaging and laboratory tests indicated damage to the heart and kidneys from high blood pressure. Data findings also showed that participants with high blood pressure performed significantly worse on two different assessments of cognitive function and memory. However, there were no differences in tests evaluating verbal function or ability to perform daily activities. The group note that it is generally accepted that not all available medications have the same impact on different kinds of organ damage. The team conclude that DTI provides a way to evaluate pre-symptomatic brain damage in people with high blood pressure in order to identify possible therapies to help control brain damage and reduce the eventual development of dementia. The researchers surmise that DTI is not performed in routine medical practice, however, they suggest that physicians should start to consider potential brain damage as they treat patients with high blood pressure.